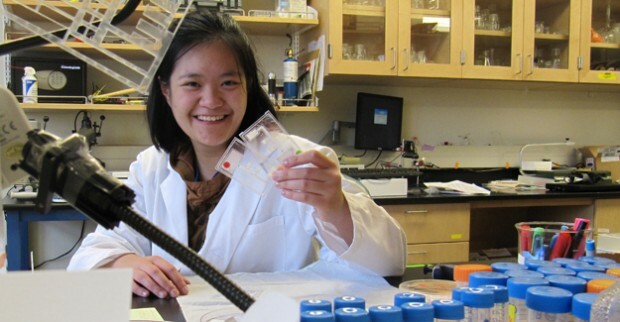 The Levinson Emerging Scholars Program supports talented and highly motivated UW juniors and seniors who want to pursue creative and advanced bioscience and related research. As Levinson Emerging Scholars, selected outstanding UW undergraduates will receive funding to support their research, including funding to present their findings at a professional conference. By funding ten scholars each year, the Levinson Emerging Scholars Program nurtures a growing cadre of high caliber academic researchers who, in turn, will further innovation in bioscience and related fields and enrich the future of academe. In 2017, we’re celebrating ten years of expansive and inspiring nature of undergraduate innovation in bioscience research. See what these remarkable scholars and researchers have accomplished!